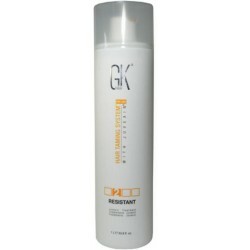 Global Keratin - Just Beauty Products, Inc. 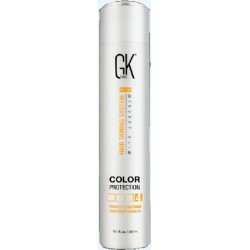 Global Keratin There are 5 products. 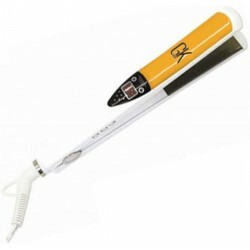 The Global Keratin GKhair D-600 1 inch Titanium Flat Iron features flash quick heat up time technology and automatic shut off. Achieving sleek looks and smooth waves and flips has never been easier. 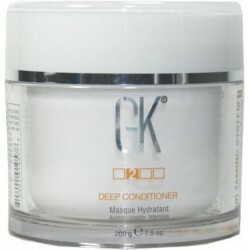 Can be used with Global Keratin GKhair Straightening Treatment or with any other Keratin Smoothing Treatment. The GKhair Hair Taming System with Juvexin is a special protein formulation which creates a shield over each strand, protecting the hair's natural properties. It works on all hair types and leaves hair manageable, soft, shiny, smooth, and frizz free for up to 5 months. 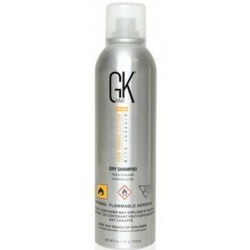 Global Keratin GKhair Dry Shampoo absorbs excess oil and separates hair strands, while adding volume to the roots and creating a freshly washed look. Fortified with Juvexin®, natural plant, starches and fruit seed extracts that prevent build up and flaking to leave hair looking frizz-free and nourished.